Try this first so you can understand how AutoRemote works with Tasker. 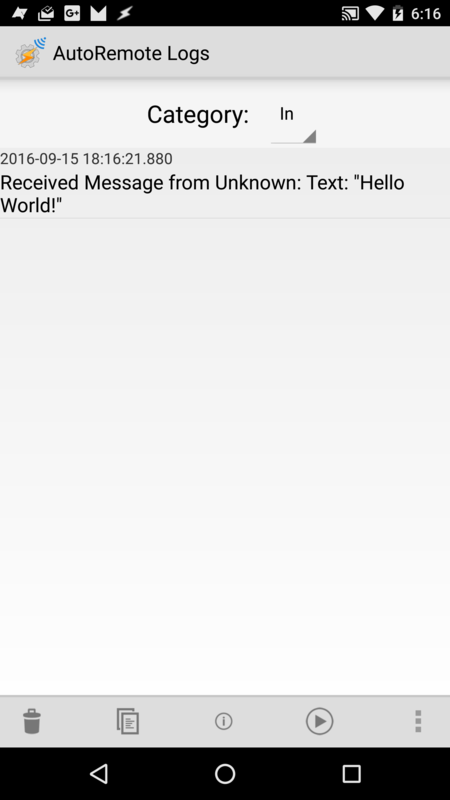 In the Message field, type “say=:=Hello World!” without the quotes and click “Send”. In AutoRemote press the Log menu item. A message with the text you sent should appear there. Press the back key. 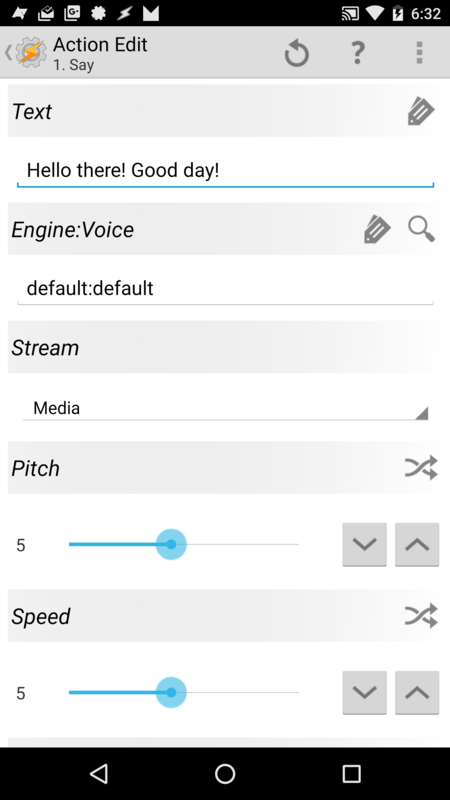 Open Tasker and create a new Profile with the name “AutoRemote Test”.Select Event->Plugin->AutoRemote->Edit Button. 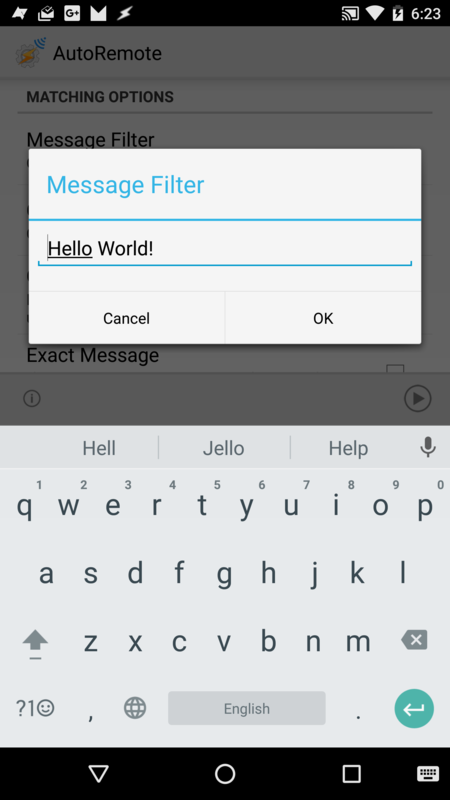 In the Message Filter type “Hello World!” without the quotes. 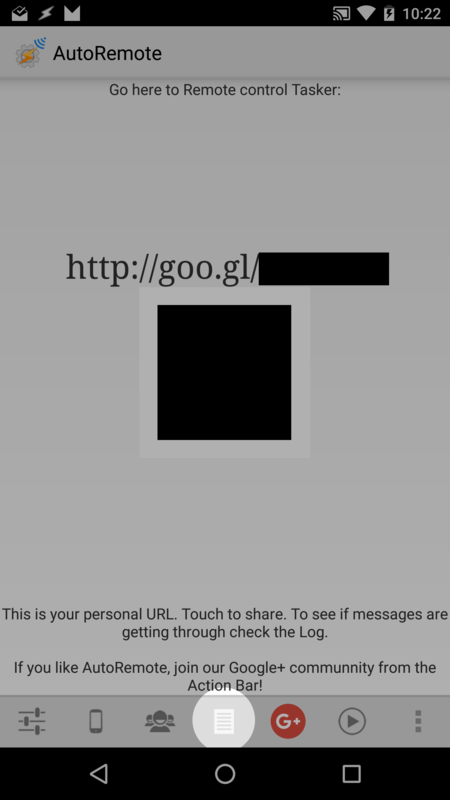 This makes AutoRemote react to any message that has the text “Hello World!” in it. Accept these settings with the back button and create a new Task. 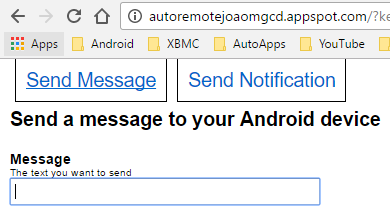 Click the plus button to add an Action->Alert->Say. In the text enter “Hello there! Good day!” without the quotes. 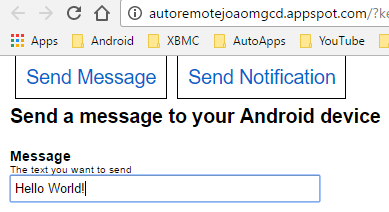 You’ve now learned how to trigger a profile in AutoRemote! If you want to make it more dynamic take a look at the AutoApps command system.